Find the perfect video package and get WatchTVEverywhere for free to stream all of your shows on any of your devices wherever you go. You’re mobile. Your TV should be too. Choose a package that has exactly what you want or choose your own features to meet your needs. *Franchising fees may apply and vary by area. Pricing & packages subject to change. Includes local channels for your county, QVC and Shop NBC. Channels vary by county. 116 TEENick 117 Nick Jr.
With Pay-Per-View (PPV), you get to enjoy live programming such as UFC, wrestling, boxing and concerts! 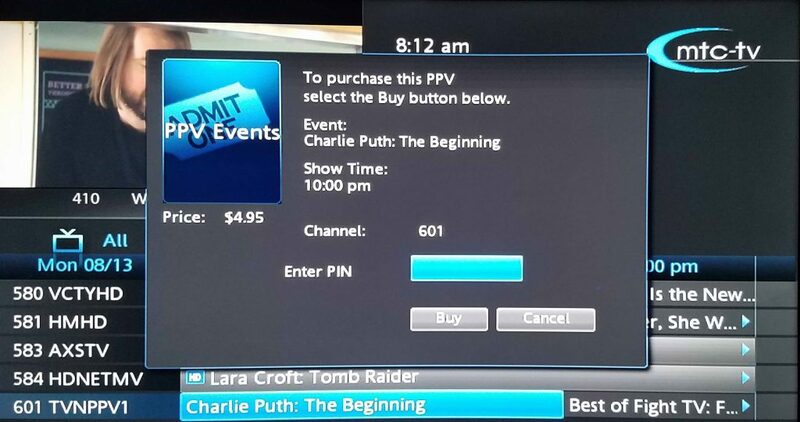 Since many of the shows are live, PPV runs on a fixed schedule like regular programming. This differs from Video on Demand, which lets you watch a selected program whenever you choose. Unlike HD and PVR, PPV is free until you use the service by purchasing a show. PVR (Personal Video Recorder) works much like a CD or VCR player but with some major improvements. With PVR, you don’t need discs or tapes—instead, your programs are saved on a hard drive in the PVR. You can record a program that’s currently playing or schedule future recordings with the touch of a button. A huge bonus of PVR is that you can control live television. Need to answer the phone? Hit Pause on the remote. When you return to the TV, press Play and the show picks up right where you left off. Add PVR to your video package for $10.95/mo! HD (High Definition) TV provides a picture with much higher resolution than a traditional standard definition television system. So, you get a wider picture with greater detail and the clarity of motion pictures in the comfort of your home. As an added bonus, the sound quality is also dramatically better. If you have any type of smart TV, 4K TV, or flat screen TV that you’ve purchased within the last three to five years, upgrading to HD can make a huge difference in the quality of your viewing experience. See the difference yourself for only $10.95/mo! WatchTVEverywhere (WTVE) is a service that allows cable TV subscribers to view TV programs on devices other than a TV set. This can include a PC, a laptop, tablet or smartphone. Bonus, all MTC TV customers get WTVE for FREE. Never miss a favorite show again. Do I need internet to have TV service? You don’t need to purchase an internet plan in addition to your video plan to have TV service with MDTC. However, MTC TV is what’s known as “IPTV” which means that the pixels that make up the video image are sent over an IP address, aka the internet. What do you mean "channels vary by county?" The basic video package includes local channels and a few big channels, like QVC and Shop NBC. McDonough, Fulton, Hancock, and Schulyer county have different local channels than Warren and Henderson Counties. Business Channels are a la carte. Call our office to build your business TV package today! Yep! WatchTVEverywhere is included in both video packages. You can access your shows on your smart devices wherever you are as long as you have internet access. If you use WTVE on a smartphone or tablet that uses cellular data, it might be counted against your mobile data plan. What do you mean "Add-on" channels? An add-on channel is one that you purchase in addition to your video package. 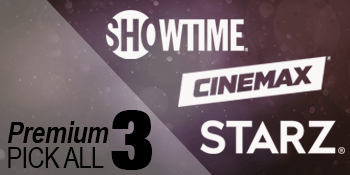 If you want to watch STARZ, Cinemax, Showtime, or HBO, you need to purchase them on top of your video package. You’ll be charged the addition fee of the channel each month to access that channel’s content. How much do HD and PVR cost? PVR stands for Personal Video Recorder. 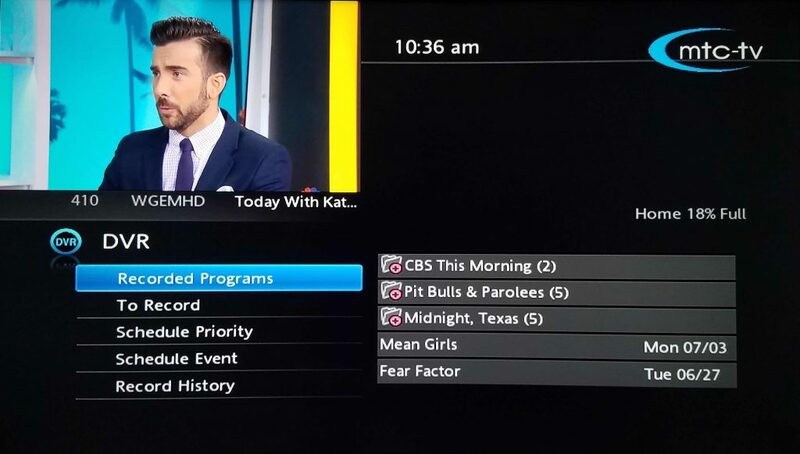 You select the programs that you want to record, and the PVR saves the program on a hard drive that you can access any time to watch your shows. Starz® and related channels and service marks are the property of Starz Entertainment, LLC. 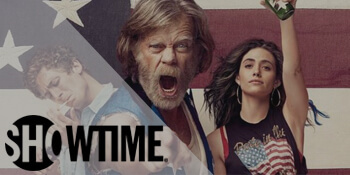 Visit starz.com for airdates/times. Outlander © 2018 Sony Pictures Television, Inc. All Rights Reserved. HBO® and CINEMAX® and related channels and service marks are the property of Home Box Office, Inc. Visit hbo.com for airdates/times. Strike Back © 2018 Warner Media, LLC. Game of Thrones© 2018 Warner Media, LLC. All Rights Reserved.